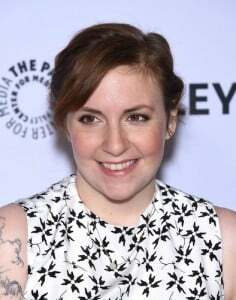 Lena Dunham has made the news again this week with her hormone issues. First of all, I think her willingness to share about her issues with her hormones is game-changing for women. Only by taking these issues out of our individual hiding places, can we find a better way forward. Her story is unfortunately all too common. So many women with one condition can quickly develop a secondary one – in her case, endometriosis and then an ovarian cyst. It’s all caused by the same root causes. Here’s what happened to Lena – she developed what is known as an Endometriomas. Endometriosis causes endometrial tissue to migrate around the body and attach to other organs and sometimes this tissue will attach to the ovaries and form a growth which becomes a Endometriomas cyst. A cyst like this on the ovary can grow to be very large and cause the ovary to twist, causing a lot of pain. When a large Endometriomas cyst ruptures, as we heard happened to Lena, it can cause internal bleeding – this is why she was rushed to hospital for surgery. She may have experienced symptoms prior to the rupture like pelvic pain and a sense of pressure in her abdomen, but she would also have recognized these symptoms as related to her long-standing Endometriosis. There are other kinds of ovarian cysts beyond those caused by endometriosis. When ovarian cysts are suspected to be growing women are usually told to either wait to see if symptoms arise or if the cyst goes away on its own, to take birth control pills to prevent more cysts developing, or to have surgery as Lena did. It’s possible Lena had a ovarian cystectomy which means the surgeon left her ovary intact. However, sometimes this is not possible, which means she may have undergone an oophorectomy – removal of the affected ovary. From my knowledge, experience and expertise, conventional treatments like the Pill are not effective enough. How do we know this? Lena is still dealing with her endometriosis symptoms, enough to cancel her promo tour of Girls, and using the Pill did not prevent her from getting an ovarian cyst that grew large enough to rupture. Frequent pelvic exams can catch signs of ovarian cysts early, but they will not prevent them from happening. I have helped many women prevent cysts from growing to the point of rupturing, and I have helped women make their cysts disappear all together! This is just all so unnecessary if we learn how to care for our bodies in a pro-period, female hormone-centric way. What can we learn from Lena’s experience and What should you do next? The Pill is not the magic bullet to our hormonal issues. We have to address the underlying causes of our estrogen overload with food. We have to get in action around partnering with our hormones to do all that we can to avoid surgery. Estrogen overload of the body from chemical exposure – When estrogen is too high, it can promote the formation of these cysts. Read more here about where these chemicals may be coming from in your life and start making swaps to natural products. Not the right micronutrients available in our diet to break down estrogen – Without these nutrients, estrogen continues to build up in the system and stimulate a cyst to grow. Read more here about how to start supporting the liver long term to keep estrogen moving out of you successfully. Not eating the right foods at the right time for each phase of our cycle to optimize the hormonal ratio each week to eliminate symptoms – This is such a critical step. For example, during your 2 peak estrogen surges during your period, the Cycle-Sync™ method makes sure you’re eating foods at those exact times that maximize estrogen metabolism. You’ve got to get in sync with your body’s hormonal patterns with food and that’s exactly what the WomanCode Online program teaches you to do. What’s possible instead when you take the natural approach? Just read the story of one woman, Heidi, who found Flo Living just in time to prevent having Lena’s experience. She worked with me and made her cysts dissappear. What is your period experience? As I said, when your hormonal system is not working properly, it can cause a domino effect, producing more period problems and even autoimmune issues from the same hormonal imbalance. Lena had endometriosis, but I’m sure she did not expect to deal with a ruptured ovarian cyst. However, this is all connected and has the same set of root causes. Take a good look at your current period problems and examine the severity of your symptoms. 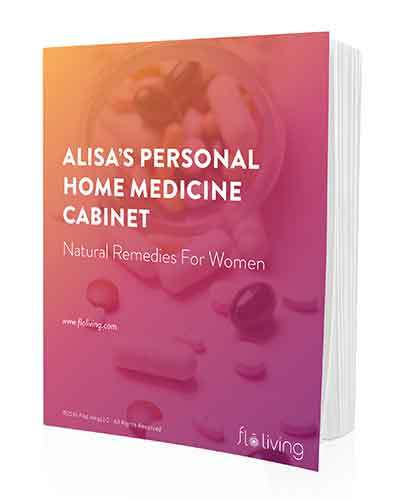 If you are dealing with bad PMS or PMDD, major cramps, wacky bleeding, and you have a diagnosed condition like PCOS, Endometriosis, or Fibroids AND you haven’t done anything beyond taking the Pill to help yourself and avoid symptoms, then you might be at a higher risk of developing an ovarian cyst than you realized. Are you eating an endocrine disruptive diet? Ultimately, look at your diet, is it full of dairy, gluten, animal fats, alcohol, and sugar? This will continue to set you up for estrogen imbalance and make you much more susceptible to symptoms and developing secondary conditions like ovarian cysts. This is why I created the FLO Living protocol to help every woman maintain the optimal healthy balance of hormones that keep us symptom free and able to make our body our happy place again. If you think you’re at risk – the best place to start is with the FLO Living 4-Day Hormone Detox – to immediately bring down toxic estrogen levels. Sending Love and FLO to Lena’s ovaries and yours. First, have you had an ovarian cyst? Second, did you have a prior period problem before developing the cyst? Third, everyone you know is hormonal – spread a little good ovary karma, share this article on social and support Lena! I have been struggling with various symptoms such as hairloss and being tired ALL the time – so I tried your 4-day detox. Wow! I am feeling so much more energetic! I will keep this up for some time and experiment with the right foods for each phase… and really look after my adrenals! I am really grateful to have a place to start working towards more energy! 2.5 years ago I had emergency surgery to remove an angry appendix, and throughout that my surgeon discovered I’d also had an ovarian cyst that ruptured. To this day I’m honestly not sure which caused more abdominal pain, or if the problems were related, but it was definitely the worst pain I’ve ever experienced. Thanks to the information in your blog I’m seeing lifelong hormonal issues like acne and mood problems finally start to improve, and I’m cautiously optimistic that I won’t have to deal with more ruptured cysts in the future. ovarian tissue. The size of my ovary that he showed me on the screen is a slim halo, a very small watermelon slice. He recommended donor eggs, doubts we can get any of my own eggs out of there. He said I will be going into early menopause and that endometriosis is a terrible disease. Am I truly not ever able to have any natural-born children of my own? I’m not even thirty-years-old yet…my husband and I finally got married two years ago, after dating for seven years prior to that. It’s difficult for me to keep my bitterness and anger towards my spouse (since he kept saying we were too young, too unstable financially, etc. to put off having children, especially since we live in a high cost area of NYC) regarding me being in this situation at bay. I can’t stop crying about it. I should add that the cyst on my right ovary is 10cm, and the one on my left is 9cm, and then I apparently now one on the back of my uterus that is also around 9cm that I found out about when I ended up in the ER in June after I had collapsed at work due to extreme pain from my cysts. Hello! I appreciate the awareness you are bringing to this issue. I am a Naturopathic Doctorate student who has suffered with endometriosis, cysts, and interstitial cystitis over the past ten years. That’s what brought me to natural medicine! I would just like to share that I have supported the foundations of health, treated the root cause through diet, lifestyle, herbs, etc… and still I had horrendous pain and disease. I wish it weren’t so, but this has been my experience, and I just had a hysterectomy and oophorectomy last week after trying SO HARD for so many years. I cut out sugar, dairy, gluten, meat… I did castor oil packs and hydrotherapy consistently… I walk a ton! I love myself! I meditate, am in a healthy supportive relationship! I take herbs and supplements judiciously but with consistency. For me- these weren’t enough to control my endometriosis- with conventional treatment… without conventional treatment… I tried all permutations, and was at the gate of having to drop out of school completely. I could hardly walk around the block. I don’t suggest surgery as a casual option, but I also don’t want to shame anyone for making the best choice for themself. I’m SO GLAD I tried so hard doing so many things that are FOUNDATIONS of health. Also- at some point, higher level interventions are ok! They are. I’m not going to feel shame or regret. It’s not like I wanted to be in menopause at 31- but treatment decisions are very personal- and I chose the best of several crappy options! Sometimes that’s just life. If anyone is reading this and deciding what to do- check in with yourself. It’s great to get various opinions, try to solve the problem from all angles- but you really gotta listen to your heart, brain, and gut… and do what you feel is right. With much love to anyone who reads this and may be struggling. You are strong and good and you will persevere.